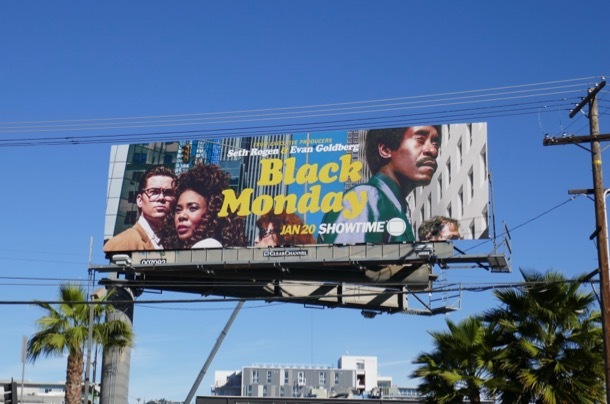 Welcome to another week here at Daily Billboard, and if you missed its debut last night, here are some billboards for Showtime's new retro comedy Black Monday (which seem appropriate for today). 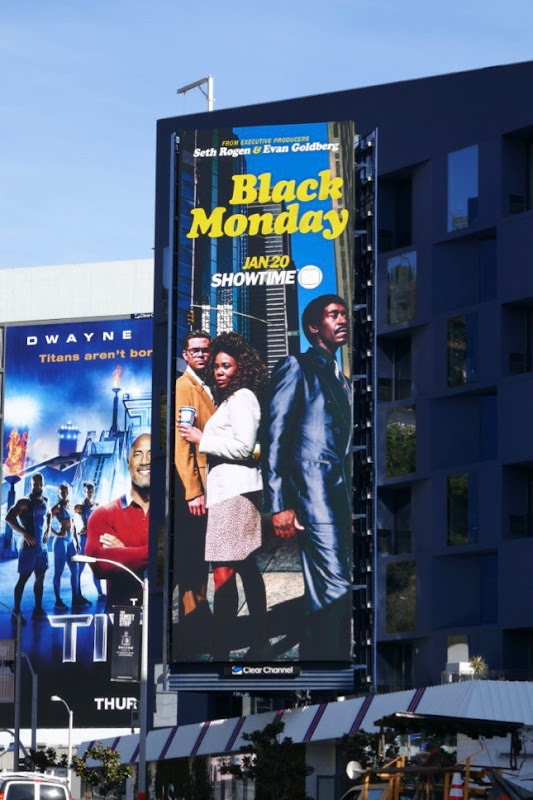 The Wall Street parody is set in the 1980s and stars Andrew Rannells, Regina Hall and Don Cheadle working at an outsider brokerage firm operating on the brink of the historic stock market crash of October 17, 1987. 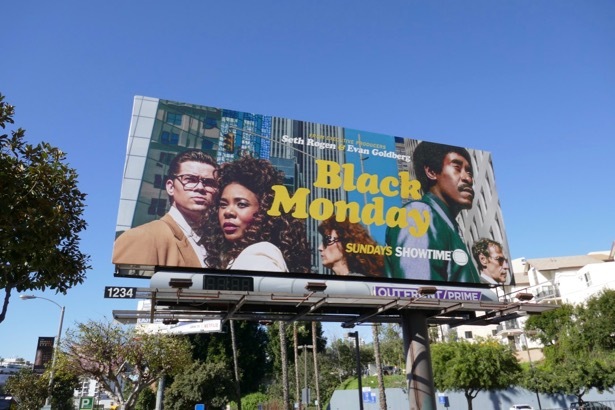 These series launch billboards were snapped in multiple locations along Sunset Boulevard and La Brea Avenue from January 9 to January 19, 2019. 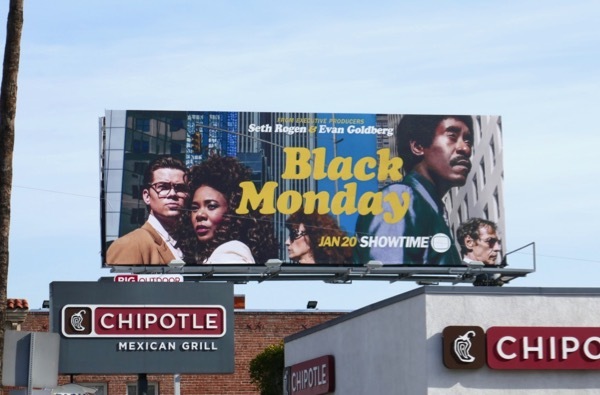 Plus for more Wall Street-themed ad creatives, be sure to check out these movie billboards for The Wolf of Wall Street, these billboards for The Big Short and these Too Big to Fail billboards. 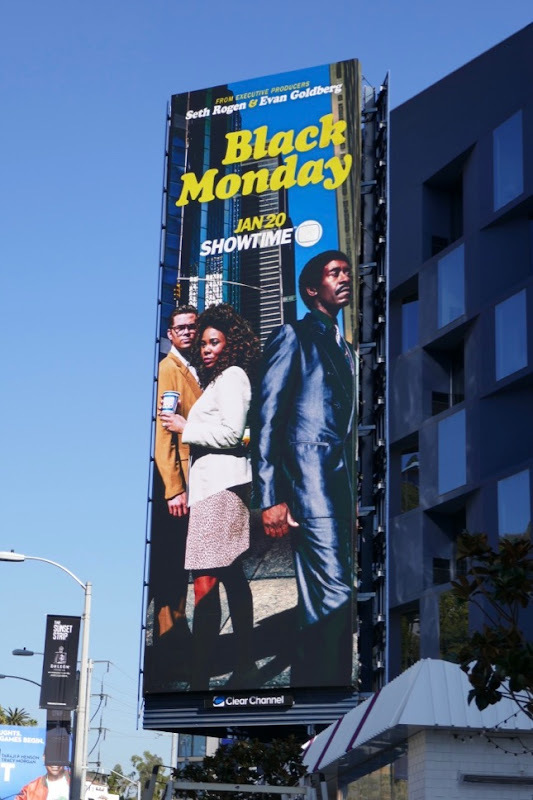 With a government shutdown and people struggling to make ends meet at the moment, just how will a comedy about 80s excess resonate with viewers this January? 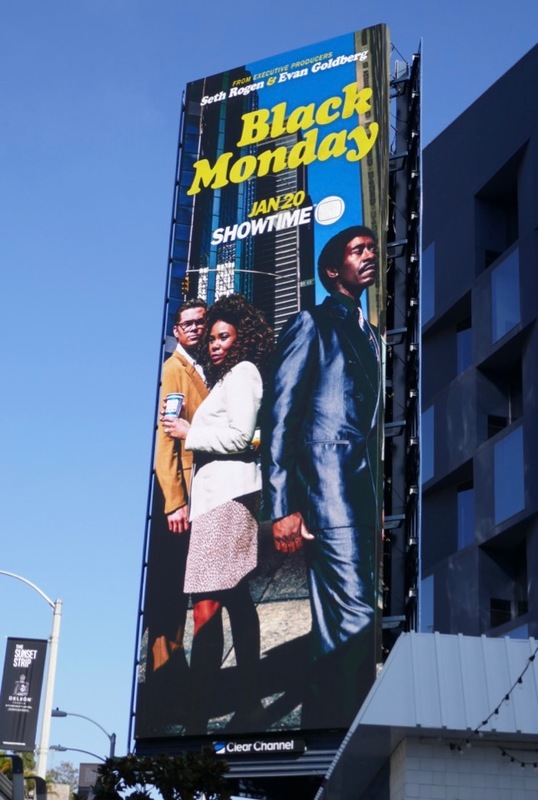 UPDATED: Here's another launch billboard for the show's first season snapped westbound along the Sunset Strip on February 6, 2019.